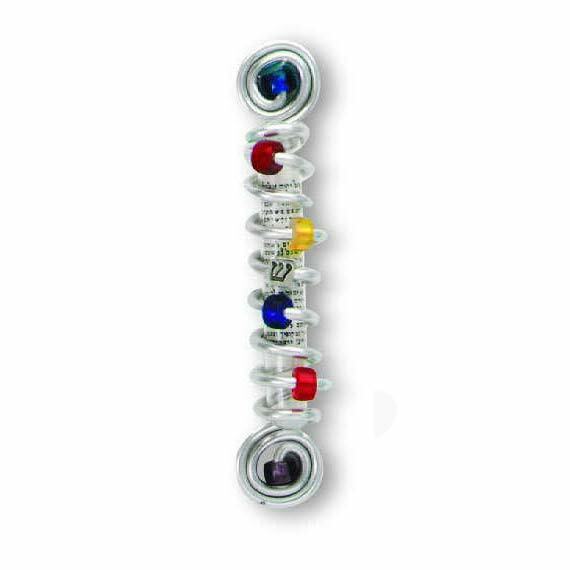 Beaded Aluminum Wire Mezuzah With Spiral Design At The Top And Bottom, A Shin Bead And Magnets - For Those Who Have Metal Doorframes. Ideal For College Dorms! 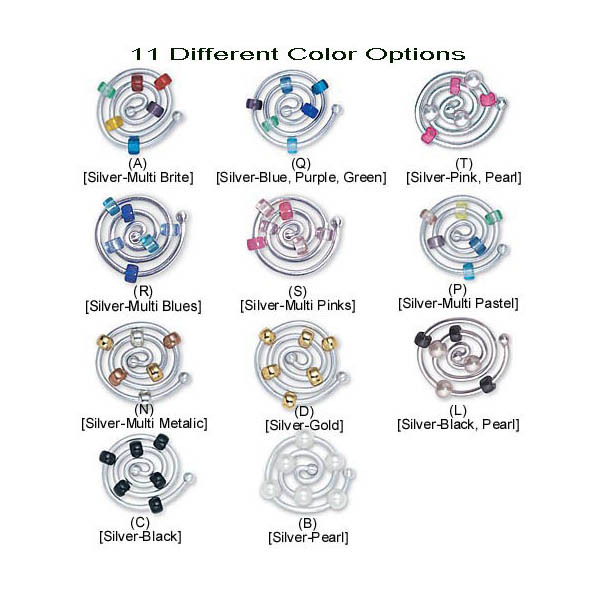 Decorated With Wire Spirals And Colored Beads. This Design Is Available In 11 Different Color Options.